To address the growing need for Wi-Fi spectrum capacity, the Federal Communications Commission (FCC) proposes a regulatory approach that will allow Wi-Fi devices to operate in the 6 GHz band. The proposed rules are designed to allow unlicenced devices to operate in this band without interfering with licenced services. Currently, the 6 GHz band is used by Fixed-Satellite Service (FSS), Broadcast Auxiliary Service (BAS), and Cable Television Relay Service (CARS) licensees, as well as for licensed fixed point-to-point transmissions. The proposed new rules would let unlicensed devices operate only on that frequencies where they would not cause harmful interference to authorized licensed services. 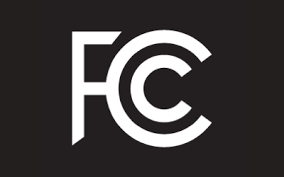 FCC will soon issue a ‘Notice of Proposed Rulemaking’ describing the plan in detail. This will also open up the 6 GHz proceeding for public comment. “From Wi-Fi routers to connected home appliances to retro cordless phones for those of us who still have landlines, we use devices that connect via unlicensed spectrum every day. Indeed, they’ve become so popular that there is now a shortage of airwaves dedicated for their use,” FCC Chairman Ajit Pai said. To deal with this problem, the proposed rules are set to open up 1,200 megahertz of spectrum in the 6 GHz band for different types of unlicensed uses. Please contact Silex Sales team at sales@silexamerica.com if you have any questions.